Flashlights always come in handy, and they’re especially fun for kids to play with on Halloween night. Mini flashlights are a great Halloween treat, and they’re sure to be appreciated by visitors of all ages. When you’re on the search for a Halloween treat that can be enjoyed all year round, look no further than a tube of bubbles. Bubbles are available in bulk at most party supply stores, and you may even be able to find special Halloween-themed bubble containers. Glow sticks are the best way to light up the night, and they make for an awesome Halloween treat. This inclusive gift will be a hit for kids of all ages, and glow stick bracelets or necklaces can add some flair to any Halloween costume. If you don’t feel like leaving home to pick up Halloween gifts to pass out, order a pack of glow sticks online. While many candies aren’t appropriate for individuals with food allergies, there are still quite a few options that most can safely enjoy. Starburst candies don’t contain peanuts, tree nuts, eggs, milk, or soy, and they’re also gluten-free. Each chewy candy is individually wrapped, making them a safe choice to offer trick-or-treaters. Skittles are a classic Halloween candy, and they’re also on the allergen-friendly Halloween candy guide. These rainbow-colored candies will brighten up anyone’s night, and they’re a failproof choice to include in your home’s Halloween candy bowl. 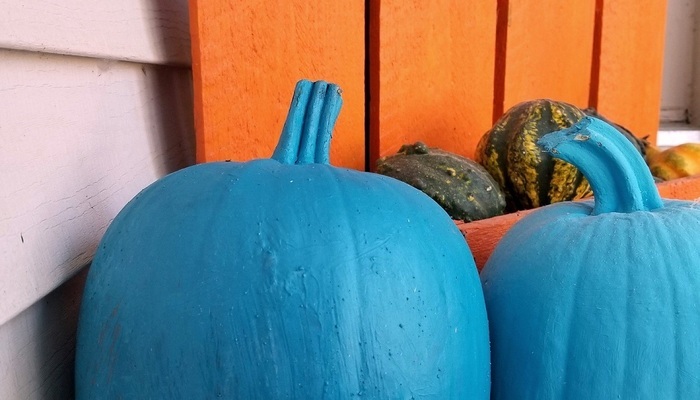 The Teal Pumpkin Project is gaining recognition throughout the country. If you’d like to learn more about where you can find participating households, please visit this site. Colorado is well-known for being an inclusive state, which is part of why you’ll love living in Longmont. Looking for a new place to call home before the holiday season hits? Schedule a tour of our beautiful community, VerraWest. We offer a wide variety of floor plans, and each unit is equipped with luxury features. To learn more about our amenities, please reach out to our leasing team.